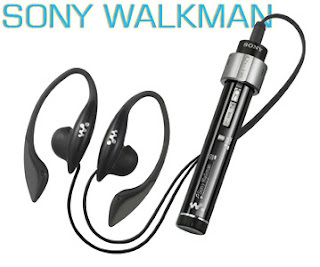 Sport your music with the water-resistant S2 Sports® Walkman® MP3 player (2GB). Featuring an FM tuner, pedometer, stopwatch and calorie counter-tracking your workouts has never been easier. Designed with an active lifestyle in mind, the 2GB NW-S205F is the perfect companion on your workouts. The unique, cylindrically shaped MP3 player is packed with features including a calorie counter, pedometer, stopwatch and a built-in FM tuner with programmable presets. Create playlists for your levels of exercise activity and the Music Pacer will switch playlists based on your pace--whether walking or running. The Music Pacer function can be turned on or off at any time. Finally, with the Shuffle Shake feature, easily turn on the shuffle feature simply by shaking the player three times. The NW-S205F touts a durable aluminum construction that is also water-resistant. Store up to 1,350 songs on the device. Shake the Walkman® player 3 times to easily switch the shuffle feature on. Shake it 3 more times to turn it off. Calorie Counter: Allows you to see how many calories you've burned based on your weight and length of workout.Target Settings: Allow you to set the amount of time you want to work out so the music will stop once the pre-determined length of time has passed.Stop Watch: You can time up to 9h 59m 59s by 1s increments. Provides accurate tuning of FM stereo radio stations. Presets allow the user to skip directly to the most listened to stations. A three minute charge will provide up to 3 hours of playback. The internal, embeded Lithium-Ion battery provides up to 18 hours of continuous playback. Connect.com offers one of the most extensive music collections online. Unique features such as Connect Sets and live radio make this a choice destination for customers looking to expand their music collection. It's easy to find and purchase single tracks or entire albums ranging from top hits to independent artists. For customers who already have an extensive music library, use the included software and hardware to store and playback their collection of MP3s. For the customer who is just getting into the world of digital music, Sony's ATRAC® format provides higher sound quality and smaller file sizes than many competing formats. This enables the user to store more music at higher quality for longer listening. 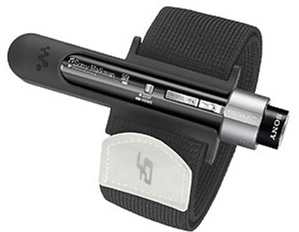 Supports playback of WMA and AAC audio files to the Walkman player. Perfect for a customer who has a large collection of audio on their PC which was ripped from their personal CDs. This allows for tranfer of audio downloads, imports and self recorded tracks, but only works on files that are not protected by DRM (Digital Rights Management). Electroluminescence Display offers high quality and a unique look. View information about the music, settings and even time and date in any lighting condition. is designed to accomodate both left and right handed users for maximum flexibility. Offers 5 different modes including: Heavy, Pop, Jazz, Custom and Off for enhanced sound. Allows users to manage their music, create playlists, burn CDs, import digital files and easily transfer music to their Walkman player. USB (Universal Serial Bus) provides extremely fast and easy transfer of audio files from computer to hard drive and flash players. Allows you to play songs using the automatic selection function in which the player changes the playlist automatically depending on your pace of movement, either walking or jogging. Allows you to easily view CD text and ID3 Tag information including song title, album title and artist name.